Buckle your seat belts, kids. I've got some smoking hot projects for you this week. 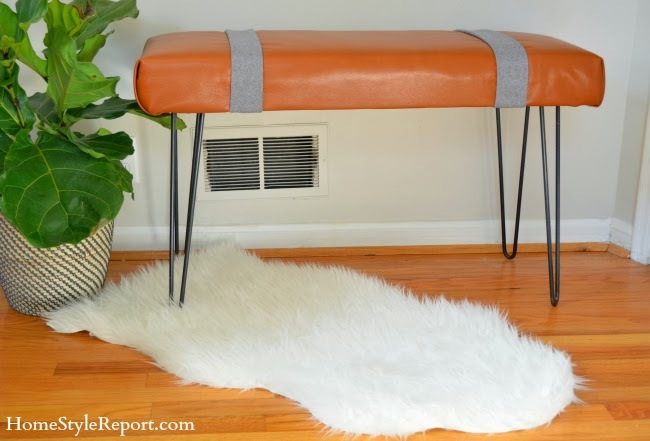 Check out this ridic cool DIY leather bench from Jenn at Home Style Report. Those legs! I'm pretty sure the addition of this bench would make any room instantly cool. 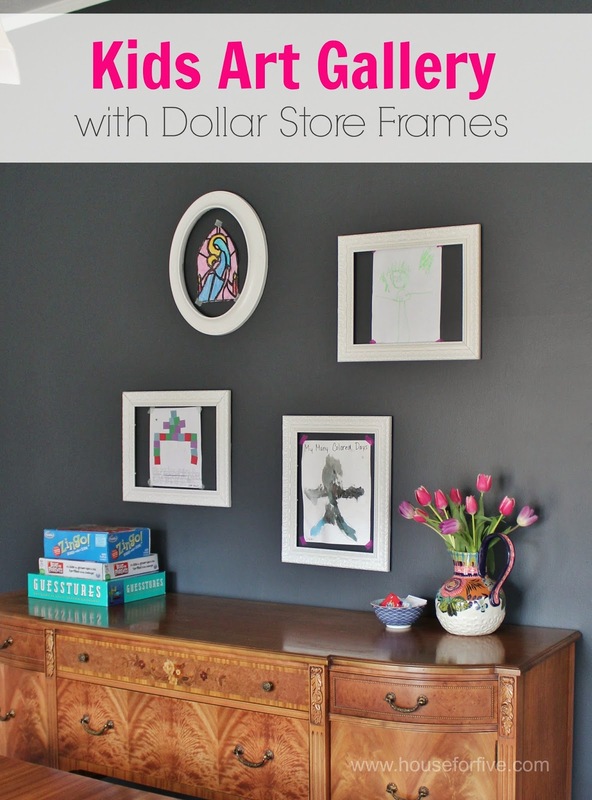 I'm kind of obsessed with this kids art gallery wall from Deme with House for Five. HDawg is bringing home more and more adorable art from school these days and this fun gallery wall is inspiring me with ways to display his masterpieces! 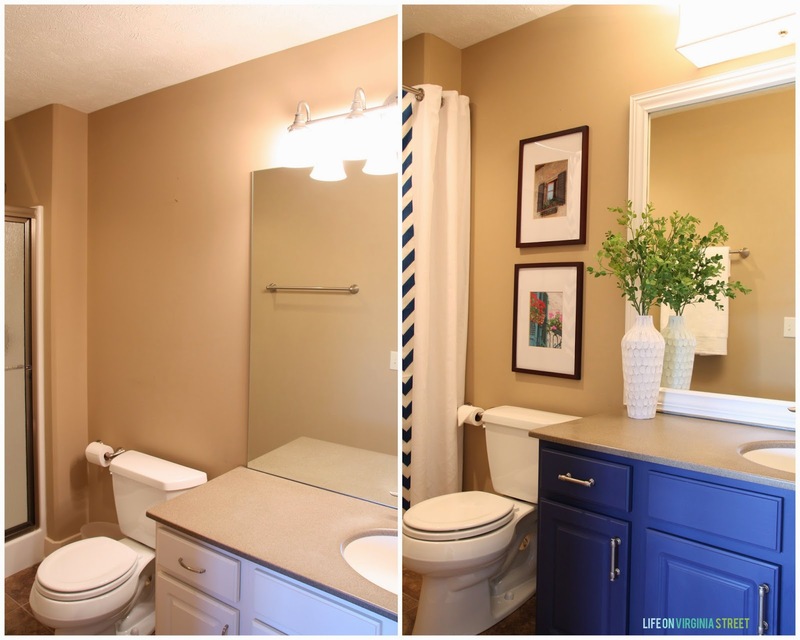 Sarah from Life on Virginia Street once again killed it with this bathroom makeover. Check out that royal blue vanity and amazing light fixture. Lovve it. 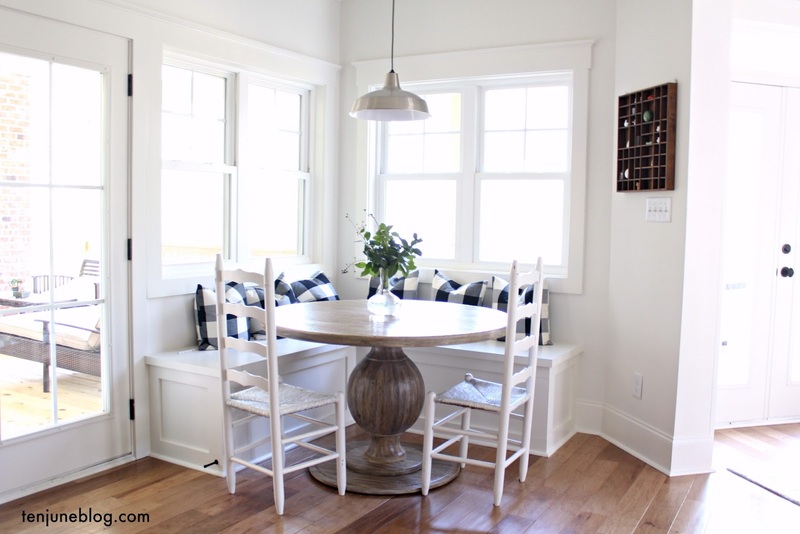 Sarah was the genius behind that fabulous DIY wooden chandelier and bedroom makeover I featured previously. I've decided that, in addition to your project submissions, I'm going to do a weekly nomination of my own each Tuesday. This week, I'm giving mad props to this crazy awesome DIY upholstered settee by The Pursuit of Handyness. Ayisha created this for less than $140 and I'm a little bit more than jealous. I need one! Seriously, I love this project. Thanks to all of you who submitted projects this week. I only choose to feature a few, but each and every project honestly knocks my socks off. Keep 'em coming! Oh my goodness!!!!! Thank you soooo much for the feature Michelle!! You're so kind! I must go check out these other projects! So much talent! Thanks so much for including our kid's art gallery, Michelle! The bench and settee are both incredible! Oooh! Love the settee! Definitely checking that out!